24 medium shrimp peeled and deveined (about 1 lb) boiled for 7-10 min, let cool in fridge. We used one package of extra lean ground turkey. shirataki noodles drained (we used tofu noodles but there's also yam if you don't want added protein). 1/2 tsp fish sauce (we will use oyster next time - i thought the fish sauce was kinda foul). Cut the large white vein out of the cabbage. Start from one side to the other, in this order place green onion, 2 piece cucumber, lettuce, noodles, mint, basil, bean sprouts, shrimp (or whatever protein). Roll from one side to the other, tucking in as much as you can. Sad you ONLY lost 1 lb?? Happy Saturday! I was cleaning up and found the journal that I tallied my weekly loses in last year. I forgot how many weeks in a row I "only" lost 1 lb or so. I am posting this to hopefully encourage those of you who are on your own journey to health - stay the course! I lost 46lbs in 4 months because I didn't give up and kept my eye on the prize. Sure there were peaks and valleys and it wasn't done perfectly...but I now weigh 25 lbs less than when I had my son and honestly I haven't felt this comfortable with my body since high school! If your on a good path- keep it up! If you need help please don't hesitate to reach out to me!! O+O is rocking my world! So I am an essential oil novice. Well maybe not novice - I infuse, I know what certain oils can help certain ailments, I use them daily on myself and Chico, but I'm not blending up my own concoctions or anything. Enter O+O into my life! Not only is the presentation adorable but these blends are great and I've come to find there is a use for them on a daily basis. The two that I have been using is the Eucalyptus Peppermint blend and the Lavender blend. 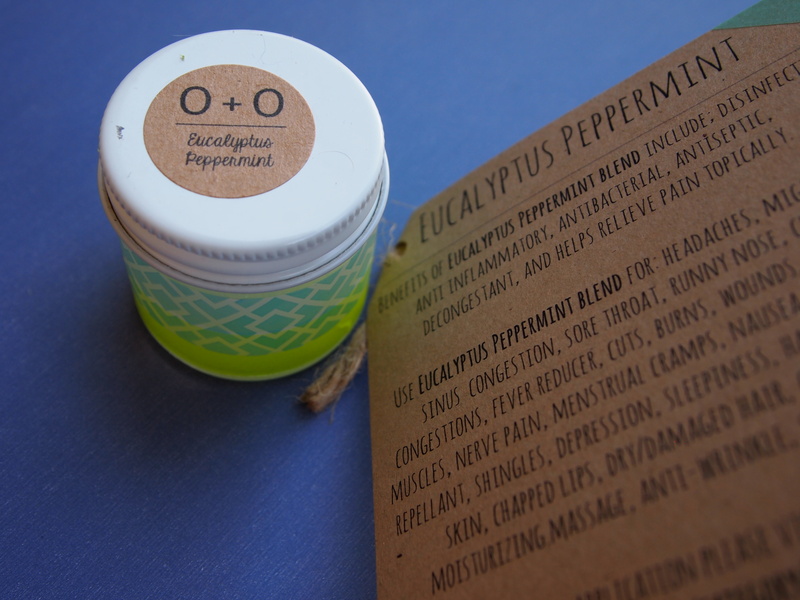 As a long time migraine sufferer I was looking forward to trying out the Eucalyptus Peppermint blend. I am trying not to use pain medication to deal with the sometimes daily pain and found that when I rubbed it into my temples it became easier to relax and rest which if you know about these types of headaches - sometimes rest is the only thing that will help. Related to my headaches is the fact that I hold stress in my shoulders and neck. Well, this blend is also great as an anti-inflammatory! I found that rubbing this blend onto my shoulders was equally as effective as Tiger Balm, but unlike Tiger Balm I wasn't afraid to cuddle Chico afterwards! The uses are honestly endless - from putting it onto the ends of my processed hair, rubbing it onto my nail bed when I have hangnails, a pick me up when you're having a rough day, to putting on Chico's chest when he's congested. 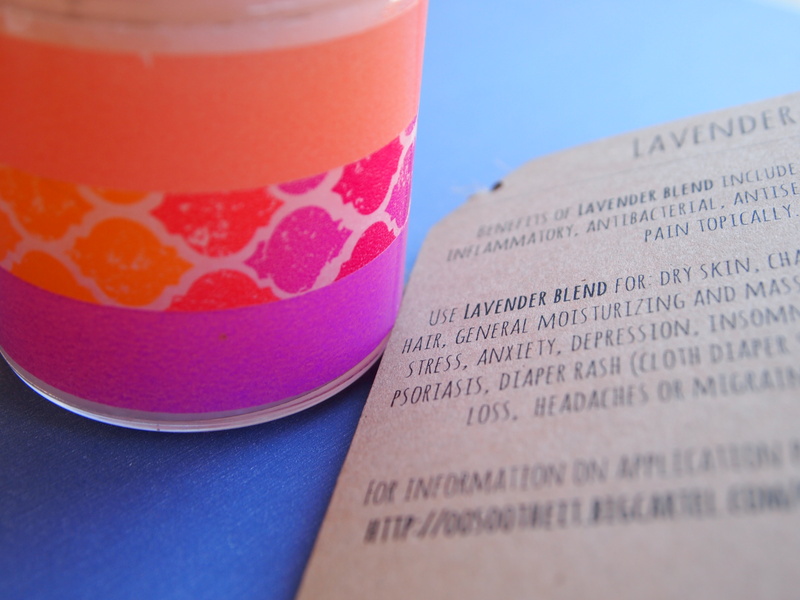 The lavender blend is equally lovely, with plenty of uses. Lavender is pretty much my favorite "go-to" oil so I was excited to have a blend that I could try out. O+O's lavender blend consists of organic, high-quality coconut oil, organic apricot kernel oil, organic jojoba oil and the highest quality lavender oil. I use lavender for diaper rashes (safe on cloth diapers), bedtime baby massage, bedtime mama massage (helps with insomnia! ), on chapped lips and dry skin. I use it most on Chico's eczema patches and it has been amazing in healing them. His patches tend to be red but this blend soothed it overnight! Took the redness away and reduced the scaliness as well. Very impressed. 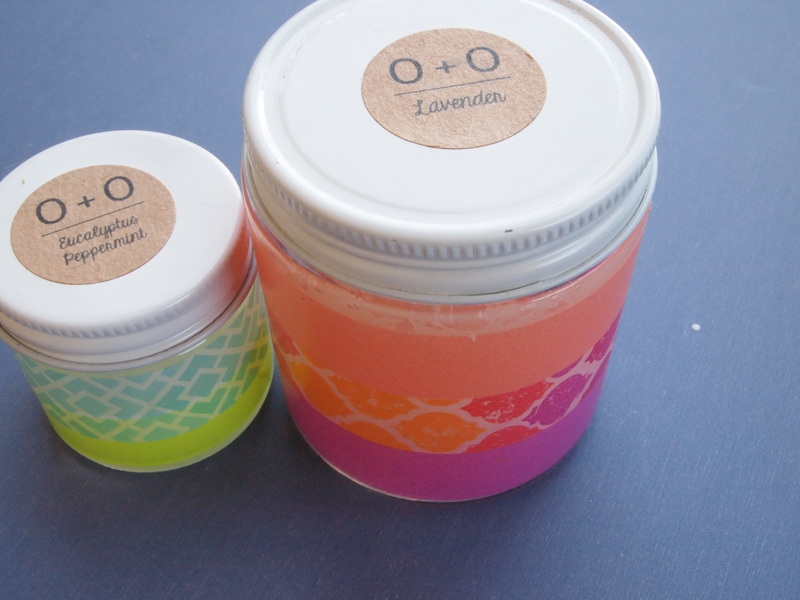 Here are a few tips when using O+O that are stated on their site: -Be careful not to mix diaper use jars with regular use jars. -Add salt or sugar to make it a scrub! -It may go on greasy, but just give it a few minutes to soak in. -This product stays solid at room temperature and will melt in warm surroundings and with your body temperature. Take care opening your jar. -A little goes a long way. I'm excited to continue my journey to learn more and more about essential oils as many moms seem to be these days. I think there's a lot to be said for handling our ailments holistically and naturally. 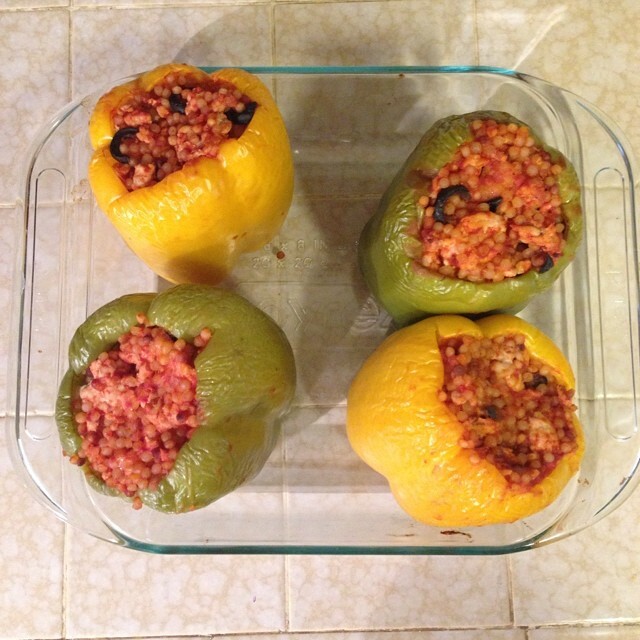 via Instagram Last nights dinner - stuffed bell peppers. It was so yum and so easy. Made some Israeli couscous and cooked up some ground turkey with mushrooms and olives, added the couscous to the mixture with tomato sauce. Cut off the top of bell peppers, scooped mixture inside and baked for 30 min at 350. Chico loved it too which is always a plus to not have to make different meals for everyone!! 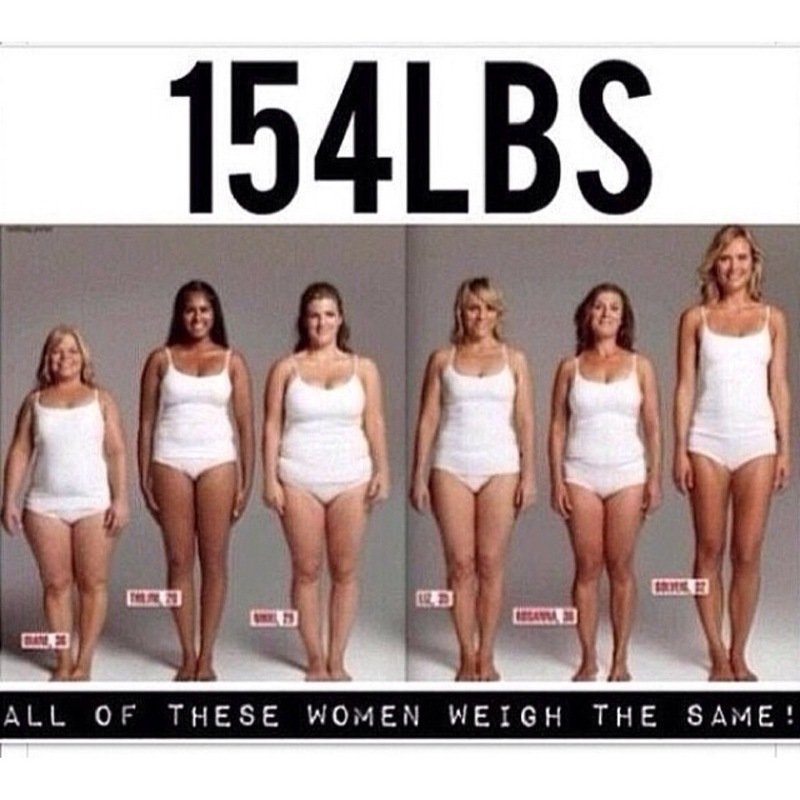 Weight and pounds looks different on everyone!! 5 lbs of Fat and 5 lbs of muscle may weigh the same but their mass is completely different! 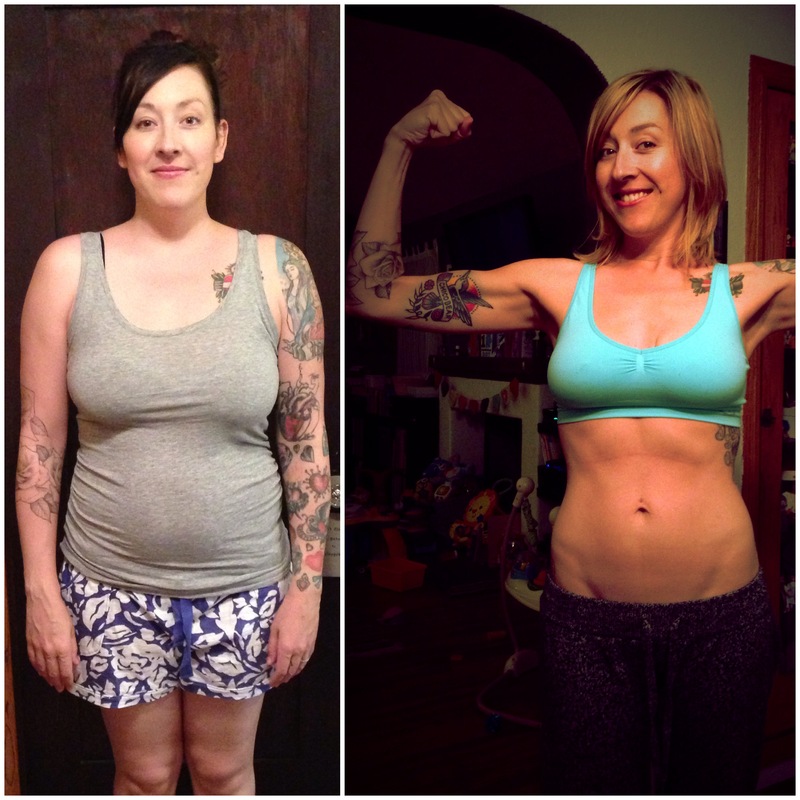 It made such a huge difference that I lost 46 lbs of fat when decided to get healthy!! My body is completely reshaped even though I had a baby only 15 mo ago I have definition that I never had even when I was dancing 5x a week and doing athletics in high school!! Ok done tripping out!! I think the gym today released way too much serotonin!!! Healthy Eating - Disney Style! 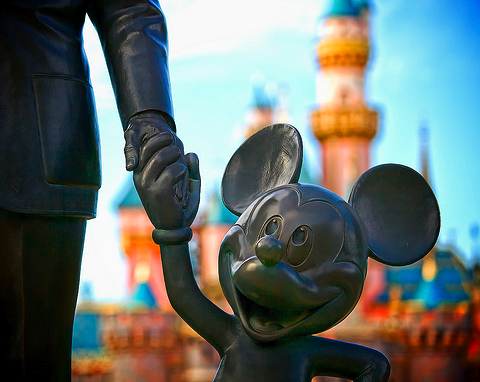 As you may or may not know - I am at Disneyland about once per week just tooling around with Chico and friends. Although I love churros, ice cream, corn dogs and everything else Disneyland has to offer - I can't eat like that all the time. I usually bring some of my own healthy snacks, but I like to enjoy what Disneyland has to offer too! I compiled a list of healthy food options for any time you hit up Disneyland! Don't be afraid to ask a cast member to hold the sauce or put the dressing on the side! It's your health - grab it by the "you know what!!" Check out my Healthy Disney options! What do you enjoy when you go to Disney!? 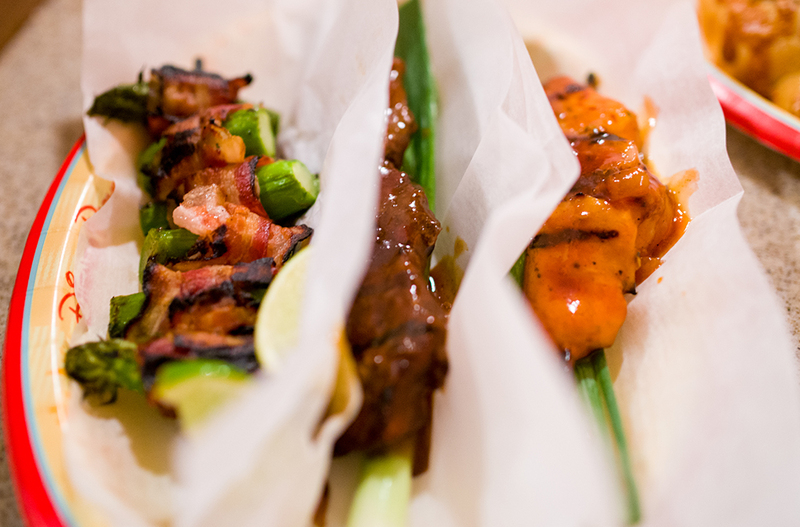 Bengal BBQ: Skewers! Chicken in a Polynesian sauce, hot & spicy beef, beef with sweet sauce, bacon wrapped in asparagus, and a vegetable skewer. Taste Pilot’s Grill: Grilled chicken sandwich with a house-made chipotle aioli and jack cheese; Spring salad mix (with baby spinach, etc.) with fresh grilled chicken, feta cheese, diced tomatoes. Lucky Fortune Cookery: Asian Rice Bowls (ask for no rice and extra seared Asian vegetables). Choose from chicken, beef, or tofu. Sides of edamame. Paradise Garden Grill: Mediterranean Skewers - Choose from Lemon-Oregano Chicken, Grilled Steak, Spiced Ground Beef, or Vegetable and Tofu. Skewers also include the choice of one of the following sauces: Tzatziki, Chimichurri, Moroccan Chili, or Tandoori-Spiced Yogurt. A Greek Salad is also available. Bikini Bound 1 year Post Baby! So there I am on the left - 4 months post-baby waiting for breast feeding to magically take the weight off. Some of you may have read my post when I first started out in my quest for health - HERE. I was so unhappy with the way I looked and felt guilty for feeling this way. I had an amazing healthy newborn and felt ashamed for focusing on what I wasn't happy with about myself physically - as if it made me sound ungrateful for my baby; but when I looked in the mirror or got dressed to go out I would cry because I hated the way I felt and looked. I began to think maybe I was just going to have to get used to the way I looked - even though I was miserable. 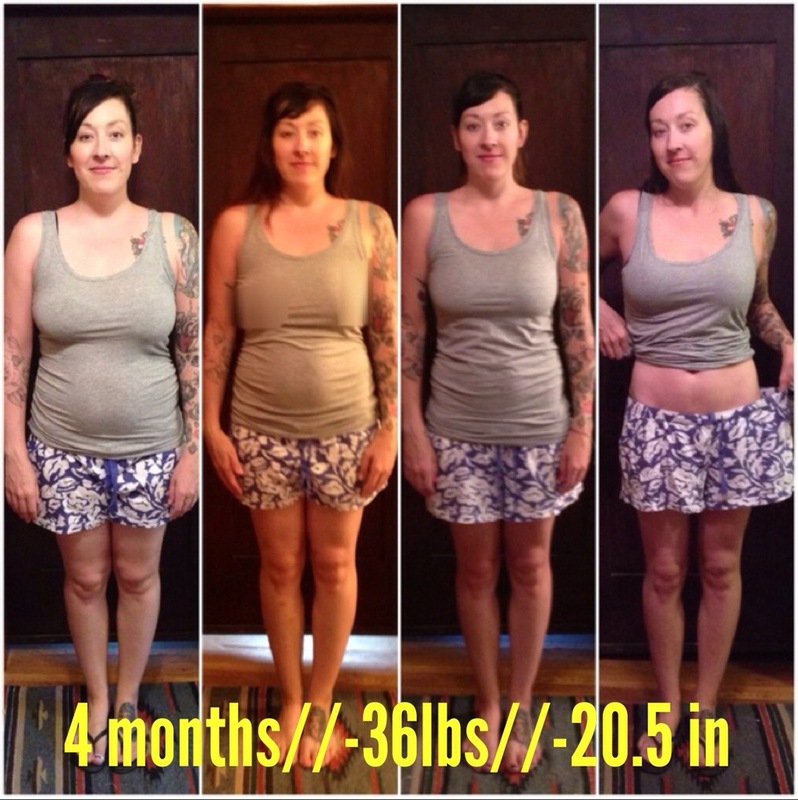 My goal was just to be what I weighed when I got pregnant. 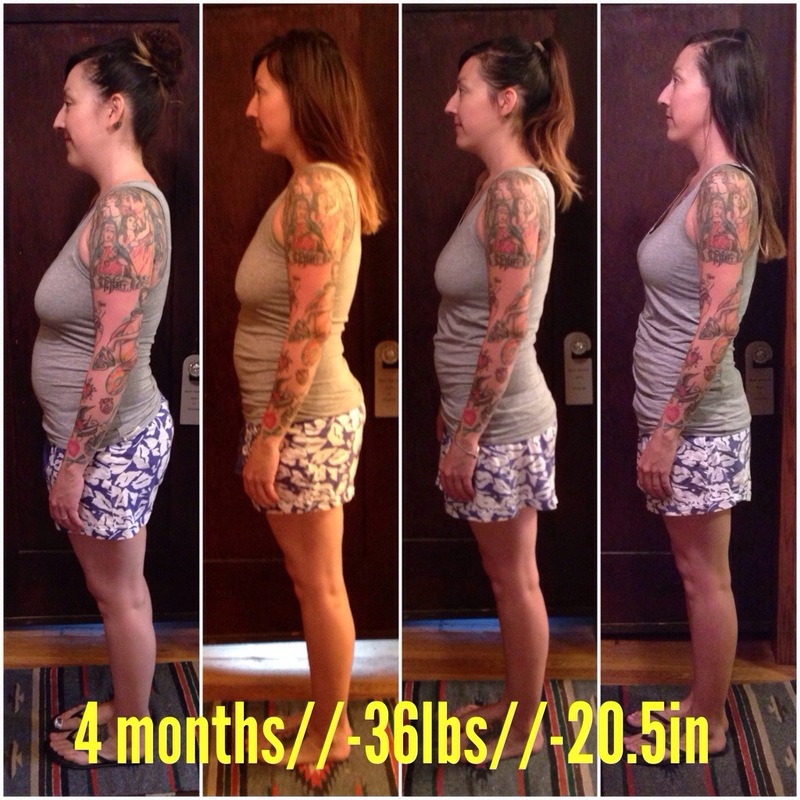 Here I stand today, my baby is a year old and I am 43 lbs less - but the coolest part is that I am 28 lbs LESS than I was when I got pregnant. We are going to Aruba and for the first time since I was a teenager, I am not dreading wearing a bikini. I never thought my body could look better after having a baby, but you guys it is totally possible. More than losing the weight, learning how to keep it off forever was the coolest part for me. Also disproving the myth that one needs a gym membership to lose weight was eye opening. 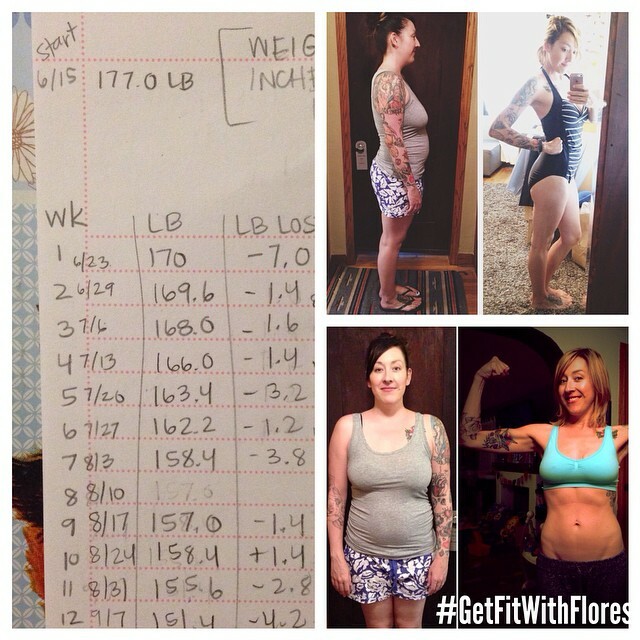 This program has changed my life so I created Get Fit With Flores to help teach others how to feel and do the exact same thing! If you relate to what I've said at all please don't hesitate to reach out to me - I promise I can help! 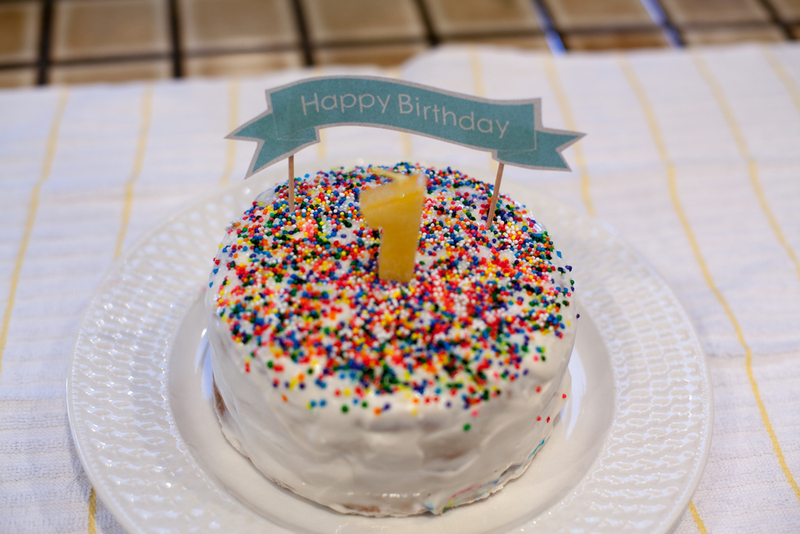 Baby's First (healthy & natural) Birthday Cake! [gallery type="rectangular" ids="1449"] I wanted Chico to have his very own cake to enjoy at his first birthday party but I didn't want him to have tons of processed sugar or ingredients I wouldn't normally give him. I highly recommend practicing and baking a cake before your child's actual party because you never know what could happen - so don't stress yourself out the day of your baby's party! I made one cake the week prior and thought I would make it in a large coffee tin because that's the size I was going for. Well it was so deep it took forever to bake and never really cooked all the way through in the middle so it completely sank. I also didn't like the original "frosting" recipe I had used (it didn't taste great and it didn't really look like frosting) so this was yet another reason I was thankful it was just a practice run! So after trying a few different recipes this is what I ended up doing because it worked for me. I bought a small tarte pan and made two cakes and just stacked them. All you have to do is shave a little off the top of the bottom cake, slather some "frosting" as the glue and then frost the entire cake to hide the fact that it's a 2 in 1 deal. Coat your 2 tart pans with coconut oil. Bake at 375° for 15-20 minutes. Check with a toothpick. Cool the cakes before frosting. 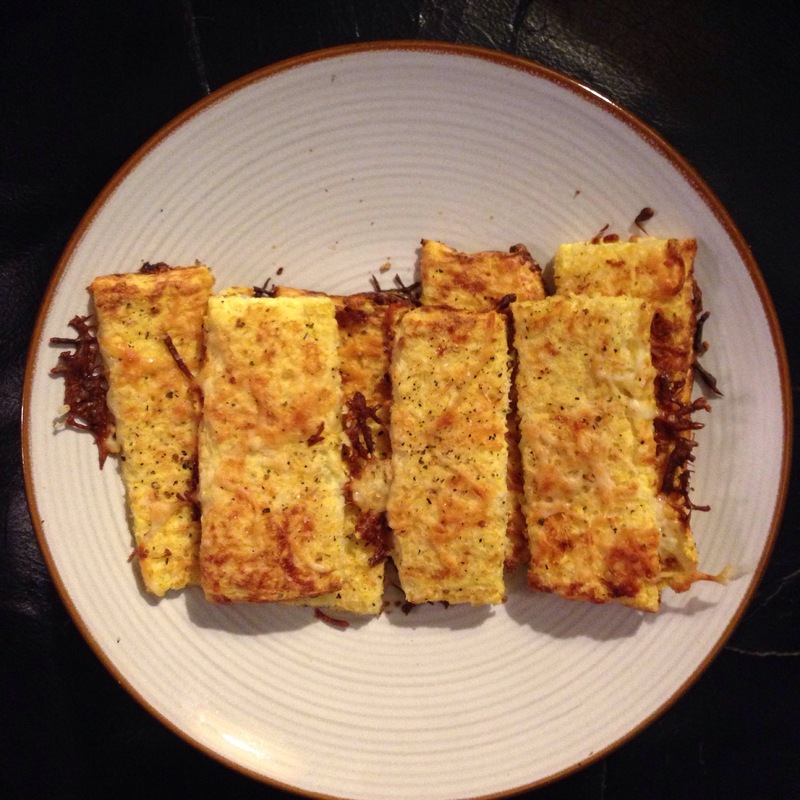 I made these awesome "breadsticks" tonight with dinner and it was so easy I thought I would share with you. Mix 1 cup of grated raw cauliflower with 1/4 cup of egg beaters and half a cup of mozzarella in a bowl. Line a 9 x13 loaf pan with parchment and lightly spray with Pam. Pour mixture into pan about 1 -1/2 inch deep. (It is okay if the mixture does not cover the entire pan). Bake at 350 for 30 min or until set. Lift the edges of the parchment and place bread with parchment on to cookie sheet. Carefully use a spatula to lift the edges of the dough off the parchment and flip the dough. Bake for an additional 15 minutes at 450 degrees. Take out of oven and with a pizza cutter, slice strips through set dough. Separate slightly. Sprinkle with garlic salt, Italian seasonings and 1 oz or 1/4 cup 2% reduced fat mozzarella or three cheese blend. Continue baking at 450 degrees for about 10 more minutes until cheese is melted. We had it with soup but you can have it with marinara sauce too! 1) I am wearing a pair of Medium yoga pants. Pre-pregnancy I had always been a Large. As a tall girl who was never stick skinny past the age of 14, I just figured Large was gonna be my "forever size." Guess not! 2) In my journey to lose weight and get fit I have not worked out ONCE yet I'm seeing tone and definition like I never had before (and I was a ballerina my whole life who also did sports in high school)! Remember, this is AFTER gaining 50-ish lbs during my pregnancy!!! 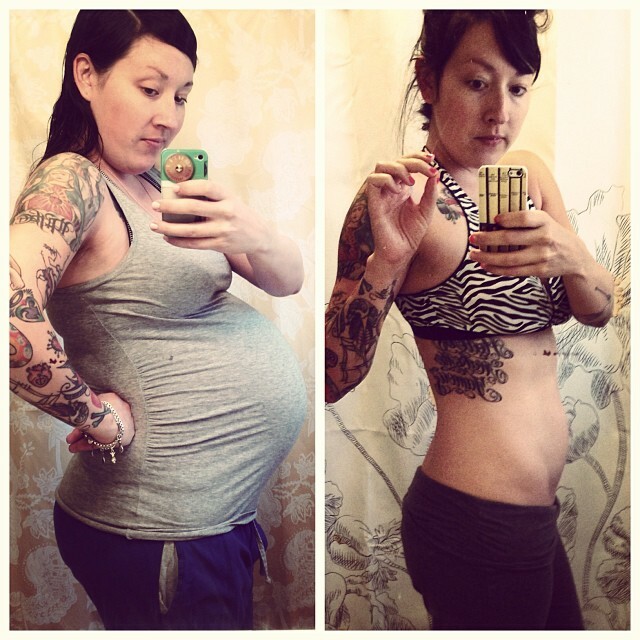 Ladies I want you to know that it is possible to get your body back after pregnancy. It is also completely possible to have an even BETTER body afterward too! All of this without killing yourself at the gym - because you have time for that right moms?! Haha...keep striving for health everyone! It's SO worth it!! What a Difference 4 Months Makes! 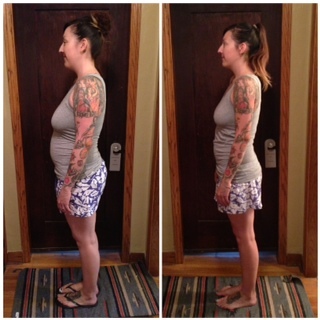 I said it before and I'll say it again - I NEVER EVER planned to show anyone but my health coach my "before" pictures. I was so ashamed of how big I was and embarrassed how my clothes fit. When I started my journey to health I was 4 months post-baby and everyone told me I should just relax and not to worry - that the weight would come off eventually. But I wasn't willing to wait for "eventually!" I was so miserable when I looked in the mirror - this wasn't the way I wanted to look. I was self-conscious in ways I had never been before. I felt like everyone was looking at my stomach - so I bought XL tops and tried to hide under flowy clothing, but in photos I just looked like I was hiding a lumpy body under a tent of fabric. And did I mention my face? Unless I was taking a "selfie" where I could make sure the camera was above my head at just the right angle, I did NOT want to be in a photo - I had a double chin that I had gained in pregnancy that didn't go away after I had my son. Worst of all I was so damn tired! Constantly hungry and tired. Downing coffee all day long searching for energy in all the wrong foods. I would feel better in the moment and then come crashing down and need more caffeine and sugar all over again. Anytime I put my son down for a nap I would pass out along side of him. Between the lack of energy and not liking the way I looked I never wanted to leave the house or do anything. Couldn't I just stay in my pajamas forever and never leave the house (Unless I was driving through Starbucks of course!)? But here I am - 4 months later and I'm down nearly 40lbs! Just as exciting is the fact that I've lost over 20 inches - and girls you KNOW that's the best part! I am 5.5 inches smaller in my chest, 5 inches smaller in my waist and 6 inches smaller in my hips - I KNOW! I didn't even realize I had that much to lose! I can't remember the last time I weighed what I do now and my clothes that I was dreaming of fitting into again are now TOO BIG!! I post these photos (even though I still find it kind of embarrassing) for the slight chance they might touch you in some way. That they might inspire you to make a change. Maybe you feel as badly as I did when you look in the mirror and they might motivate you to finally do something about it. Perhaps you are reminded of someone else when you read my story and you could pass this blog entry along to them. And if it does ANY of those things then it's a million times worth the embarrassment I feel when I look at my "before" picture. Because I know I will NEVER look or feel that way again. I have worked too hard and know too much to undo all the healthy habits I have created in my life now. 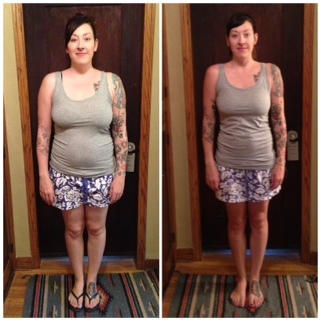 This was a search for lifelong health - not a quick fix. My husband and I wanted to change things now so that our son will only know that his Mama and Papa as healthy parents who have energy to keep up with him. It's a really huge gift that we can give him now ya know? If you are interested in knowing more I can help! I am so passionate about the program that we did/are doing that I became a health coach myself. I want everyone to know how easy and good it feels to take control of you life and have the body/health you have always dreamed of! Click - Get Fit With the Flores Family to learn more! Okay so the new thing is #transformationtuesday I guess?! Heaven forbid I miss out on the latest trend that's rocking Instagram! On the left is me at 37 weeks pregnant and probably 45-50 lb heavier. I had Chico less than a week later. On the right is me today, almost 8 months post baby. Women's bodies are amazing and capable of incredible feats! That being said- I wouldn't have ever been able to look like this without changing my health habits and diet. I never thought I could look like this again, seriously. I haven't weighed this much since college! I feel wonderful and want other mamas to feel the same. It's possible. I swear!!! P.S. Sassy Zebra Nursing Bra from Target - gotta love Gillian O'Malley! Getting "It" Back After Baby! 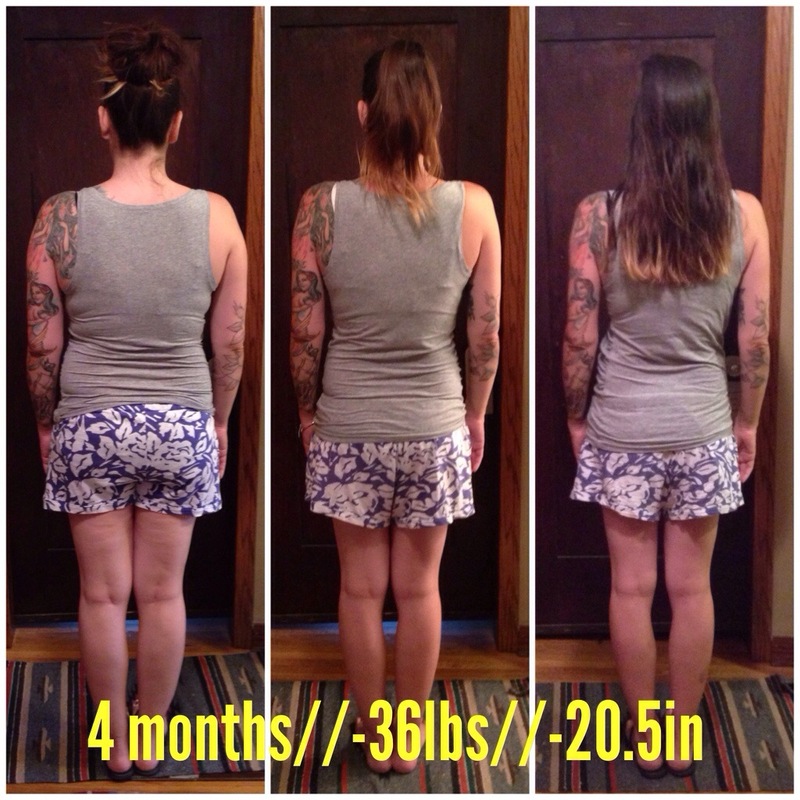 Let me just preface this post by saying that I NEVER (like EVER) planned on showing these pictures to ANYONE besides my husband and my health coach when I first started this journey to health. 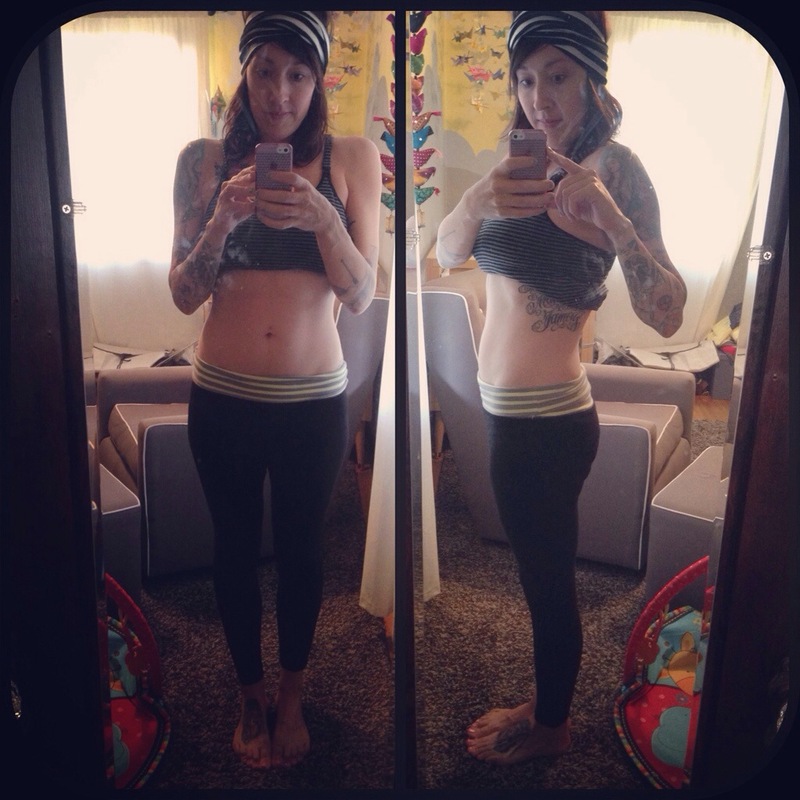 I was incredibly ashamed of how I looked postpartum and what seemed like my inability to shed my baby weight. 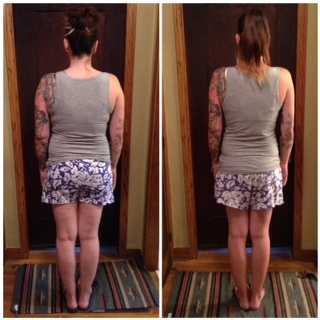 But here I am - about three months since I started the program and I am proud to share my results with you. I remember being concerned about my weight gain and monitoring it during my pregnancy. My doctor told me I should gain 35 lbs. I believe by the end I was closer to 45-50 lbs gained and I worried. So many mothers told me not to feel this way and filled my head with the belief that my pre-pregnancy body would be just around the corner. "You lose 30 lbs by the time you leave the hospital." Um, yeah not exactly. I remember weighing myself after I came home from the hospital and I was only 15 lbs lighter. And my baby Chico was only 8 lbs!!! I was devastated. I was barely under 200 lbs. One night I stumbled upon an old friend on Instagram. He was a health coach now and his feed was filled with tons of before & after photos not only of himself and his wife, but tons of other people who he was working with. I remember excitedly showing my husband and pointing out that these people were NOT exercising to achieve these results - but simply changing their eating habits. The long and skinny of it (get it? skinny of it?) is that my husband and I began the program. My program was especially designed for nursing mothers and Adam had his own program. Three months later and we are still going strong! I have lost 25 lbs and 20 inches. Adam has lost over 40 lbs. 1) It is a Medically Based Eating Plan to Balance Blood Sugars. This is based on balancing blood sugars - not calorie counting or points. It will teach you to eat 6 small meals a day and you’ll get into a fat burning state which basically eliminates cravings and produces high energy. It’s amazing how you feel! This eating plan is SIMPLE! 2) Long-term Curriculum to Teach You Habits for Success. This is a program that really helps to get our head in the game and transform from the inside out. I think we all know people who have lost weight and gained it back... this is a system that will help you deal with the triggers, behaviors, emotions that will really determine long term success. That’s why we don’t even call this a diet. This is a program that will make sure you don’t ever gain your weight back! 3) Free Personal Health Coach to Guide Your Journey! We all need the human element to help execute change. How did you learn to ride a bike? Did you just read a book and then hop on and start riding? You had someone running along side you, right? We don’t transform by reading or learning alone... we need accountability, support and interaction. If you're interested in getting fit yourself - check out our site HERE! 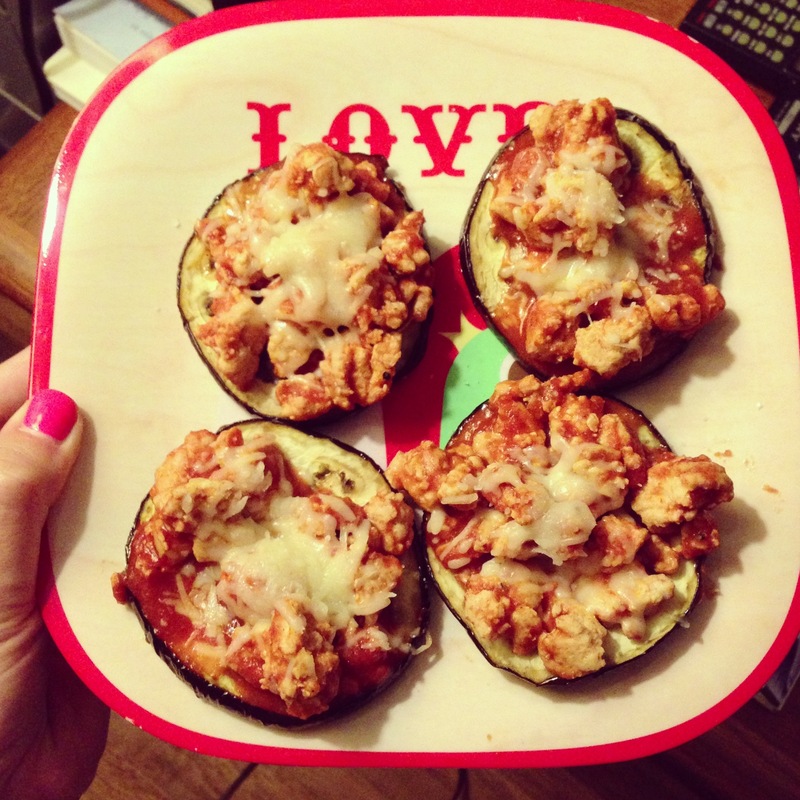 I made mini pizzas tonight out of eggplant and lean turkey. So easy, so healthy, so yummy!